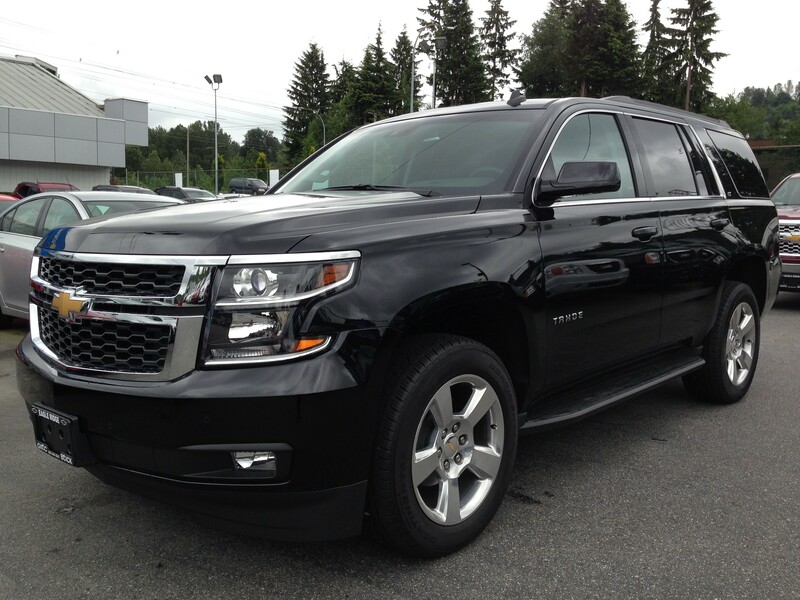 The 2015 Chevrolet Tahoe has finally arrived at Eagle Ridge GM and we couldn’t be more excited! For the 2015 model year, GM has redesigned the Tahoe, Yukon and Suburban from the ground up and the trio of SUVs are smarter, stronger and more capable than ever. After spending a few minutes with the Tahoe on our lot, it was clear that the next generation will continue to be class leading. 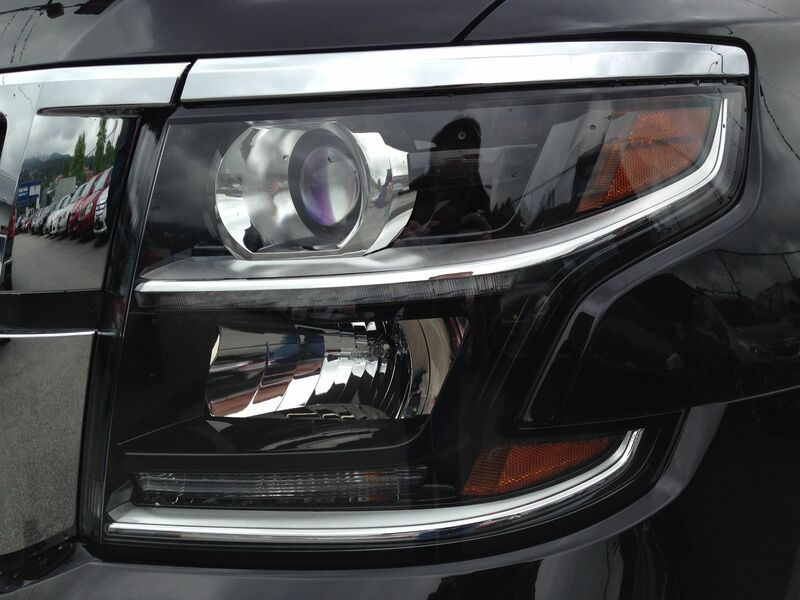 There are dozens of innovations on the new Tahoe beginning with the all new, aluminum EcoTec3 5.3L V8 engine. This motor powers the Tahoe with 355HP and 383 lb-ft of torque. To help make the new Tahoe more efficient, GM incorporated Variable Valve Timing, Direct Injection and Active Fuel Management. During times of low power demand, Active Fuel Management reduces the number of cylinders, easing fuel consumption. To further help reduce the vehicle’s overall weight and increase fuel efficiency, the hood and rear tailgate are both made of aluminum, which greatly reduces the weight and improves performance and handling. Additionally, the doors on the Tahoe are inlaid within the body, instead of resting on top of it making the vehicle more aerodynamic and providing a quieter experience for passengers. The Tahoe is a technology lover’s dream and will also be a favorite for kids needing their tablets and devices while driving. 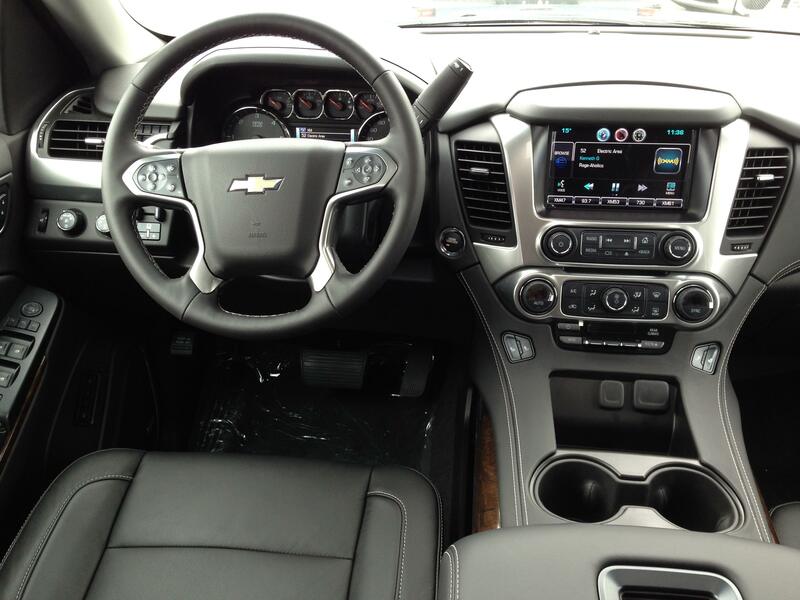 The Tahoe comes with up to six USB ports with up to twelve charging locations for your mobile devices. An optional DVD entertainment system will also keep the kids a little quieter. Chevrolet MyLink allows the driver seamless integration with their devices as well, in addition to a backup camera, available navigation system, satellite radio all in an intuitive and easy to use touch screen interface. GM also engineered the new Tahoe, Yukon and Suburban to be the safest SUVs on the road today. When loaded up with your family, you want complete confidence in your vehicle. Optional features such as Blind Spot Monitoring, Lane Departure Warning, Forward Collision Warning and Rear Cross Traffic Alert decrease your reaction time and increase awareness. You will also find the segment’s first font-seat centre airbag, which provides added protection for front driver and passenger. One of my favourite features is probably the fold flat cargo area. You can have the second and third row seats folded completely flat, in a matter of seconds with the push of a button. 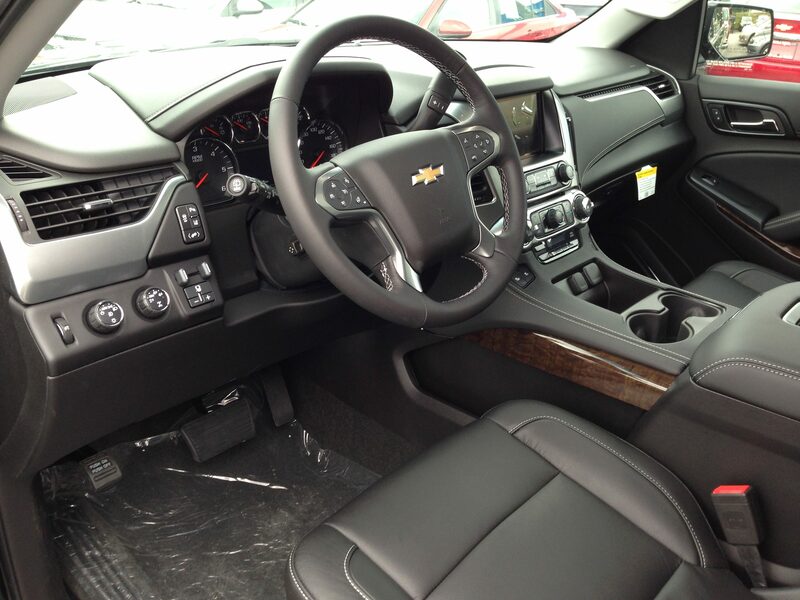 No more fumbling with bulky seats, and having to operate each seat from the side of the vehicle. Another cool innovation is the disappearing rear wiper, which is hidden below the rear spoiler. It makes the rear liftgate look much cleaner. Overall, this new trio of GM SUVs is an improvement in every possible way, adding class leading efficiency, safety and technology to an already popular vehicle. 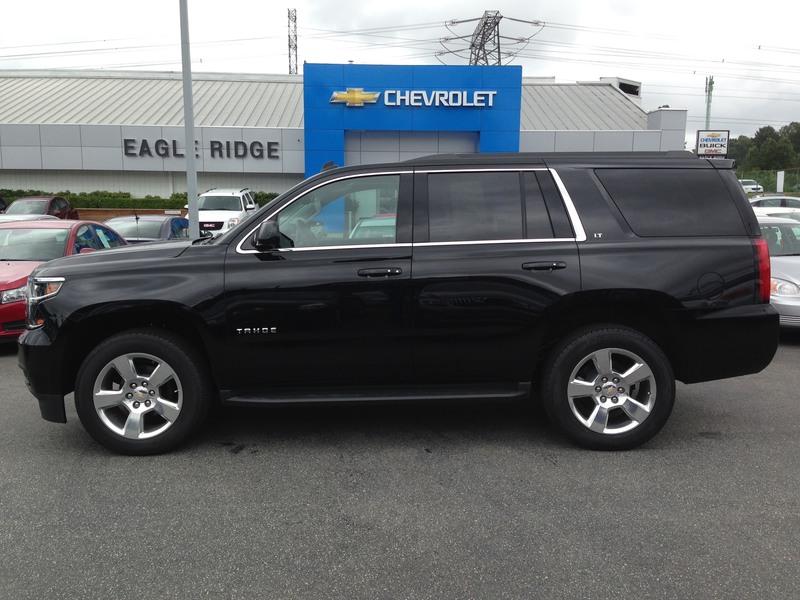 We invite you down for a test drive to see how the Tahoe will work for your family.